These fantastic five books have all been published in the first half of 2017 and, in the interest of full disclosure, we have been lucky to receive some from kindhearted publicists but others we have simply stumbled upon in the library - it's quite an eclectic mix! 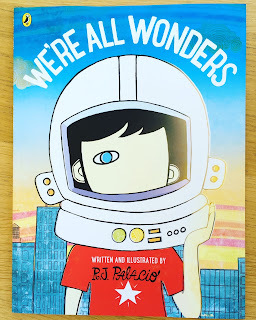 We're All Wonders written and illustrated by R.J. Pallacio and published by Puffin. 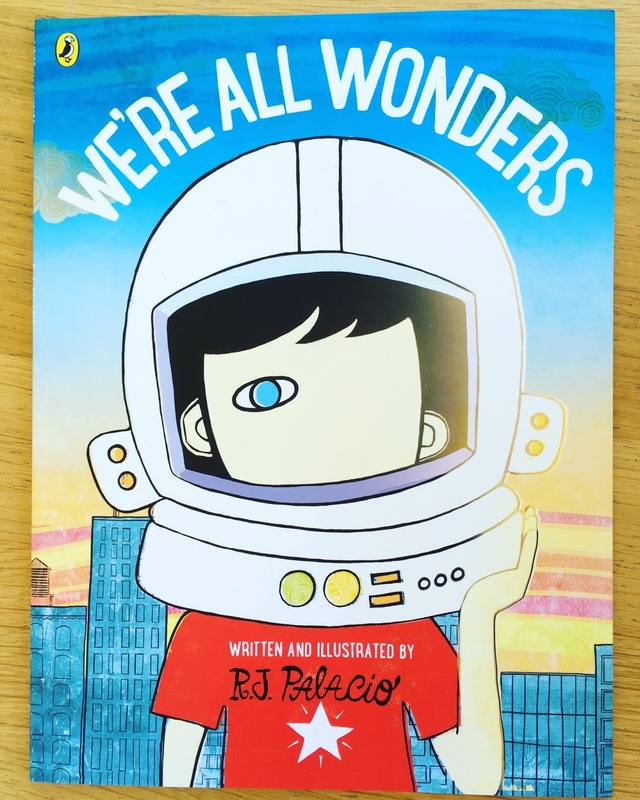 This heartwarming picture book features Auggie, the hero of Pallacio's bestselling book Wonder. As I'm such a huge fan of the original Wonder, I was concerned that Pallacio's picture book may be a bit of a disappointment. However, I needn't have worried, Pallacio has produced yet another incredibly special book and this time she makes Auggie's story accessible to an even younger audience. For those of you who are not familiar with Wonder, Auggie is not an ordinary kid. Although he does ordinary things, he looks a little different from other kids. He understands that he cannot change how he looks but hopes people can change the way they see. This book promotes the importance of kindness and is a beautiful celebration of our uniqueness. 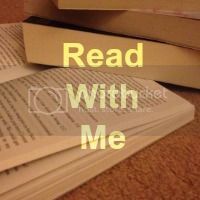 It reinforces the message that We're All Wonders and, as a mum of three little wonders, this book is a must read for all. Inspector Brunswick: The Case of the Missing Eyebrow written and illustrated by Angela Keoghan and Chris Lam Sam and published by Tate Gallery Publishing. There's a mystery to solve at the art museum, something's gone missing from the Admiral's portrait but there's no need to panic as Inspector Brunswick is on the case and with his top hat and magnifying glass he looks the part too! 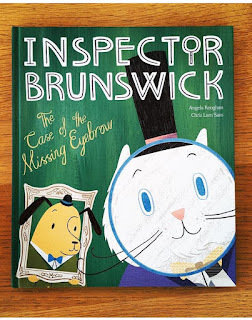 This story follows Inspector Brunswick and his side kick Nelson as they follow the clues to track down the Admiral's missing eyebrow. Just when they think they've solved the mystery, there's a bit of a twist! This book is full of humour and quirky illustrations but we can't say too much more as we don't want to spoil it for you! 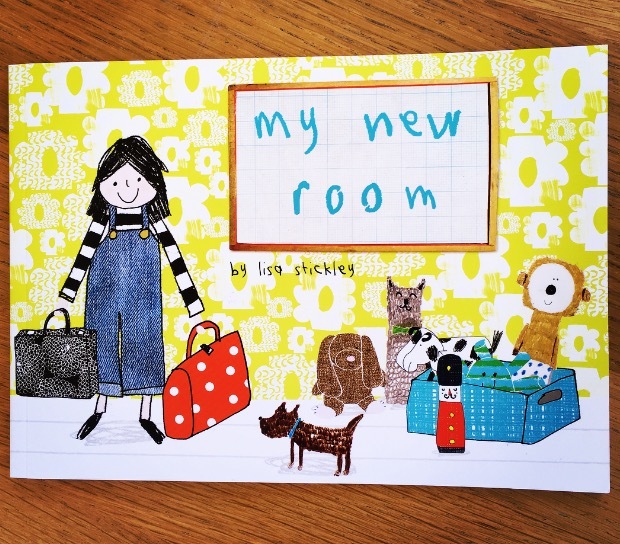 My New Room by Lisa Stickley and published by Pavilion. If your little one is moving to a new room, a big bed or even a new house, this book is well worth a read. 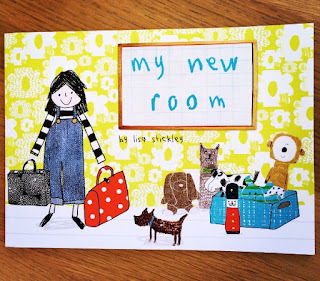 Join Edith and her array of toys as they move into their new room together. Each toy has it's special place to sit and role to play to ensure Edith settles in. 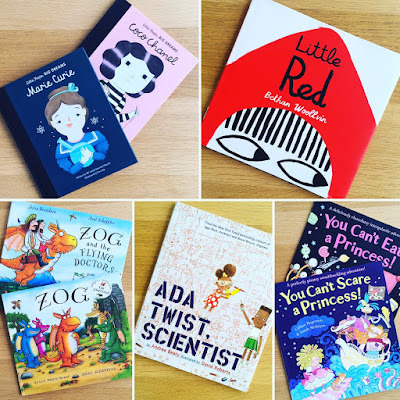 The vintage-inspired collage illustrations capture the personality of each character perfectly, This is a really fun book to read aloud, with lots of different voices of course! 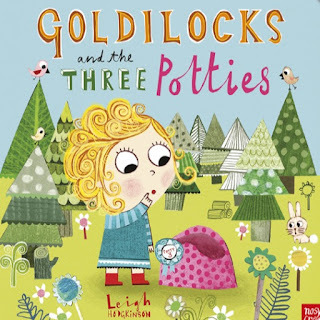 Goldilocks and the Three Potties written and illustrated by Leigh Hodgkinson and published by Nosy Crow. 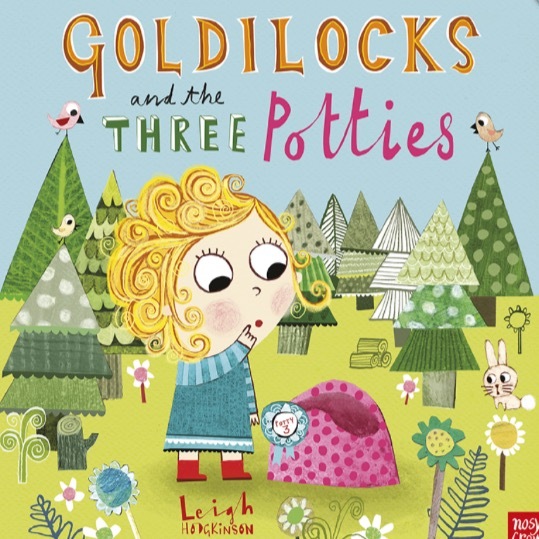 In this story a very little Goldilocks is looking for pants and a potty that are just right! Will she find them? And will she get to grips with potty training? 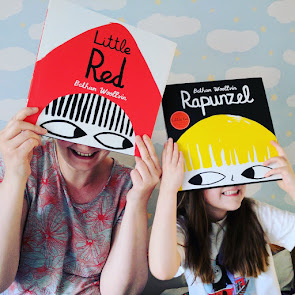 This brilliantly illustrated book really gave the Mini Reviewers the giggles. They found Goldilocks' potty possibilities (a teacup and a welly) very funny indeed. Leigh's illustrations are bright and expressive and really capture the imagination. 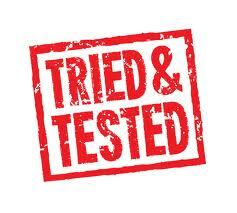 I particularly like the fact that Goldilocks keeps trying and eventually gets potty training just right! This really is a fantastic take on the traditional Goldilocks tale and although it may not solve your potty training dilemmas (can any book?! 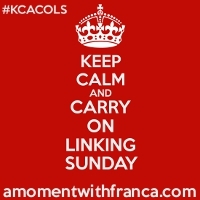 ), it certainly adds a little fun to what is otherwise a pretty soggy experience! Marie Curie written by Isabel Sanchez Vegara, illustrated by Frau Isa and published by Frances Lincoln Children's Books. This beautiful book is part of the Little People, BIG DREAMS series and is our non-fiction choice for the first half of 2017. With simple text and engaging illustrations, this series is perfect to introduce young children to the inspiring stories of some of the most outstanding people that have ever lived. 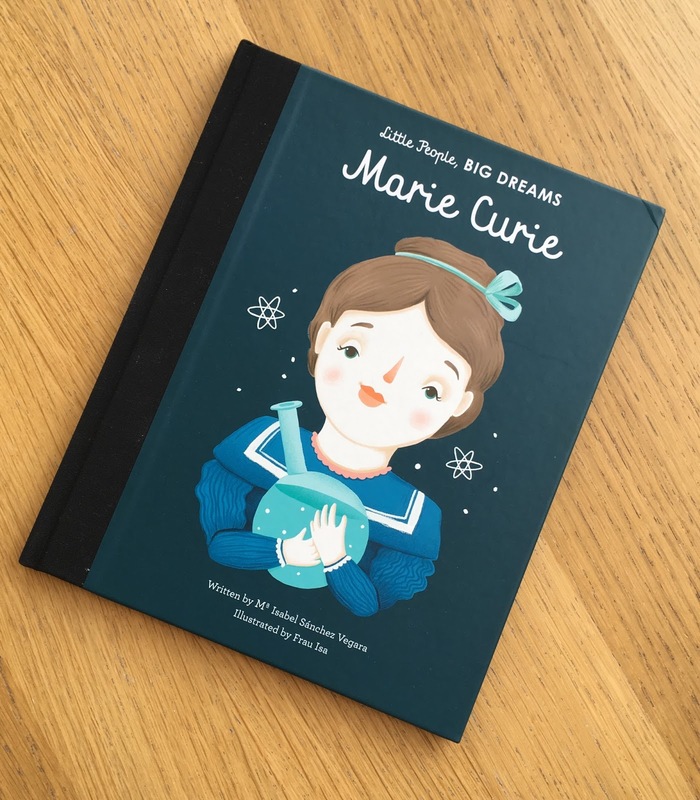 This new book outlines the lengths Marie Curie went to to secure her education and celebrates the discoveries that she made explaining how they have helped future generations. At the end of the book there is a detailed fact section with a timeline and photographs. This series is great for both girls and boys and show that with hard work and perseverance, incredible things can come from a childhood dream. 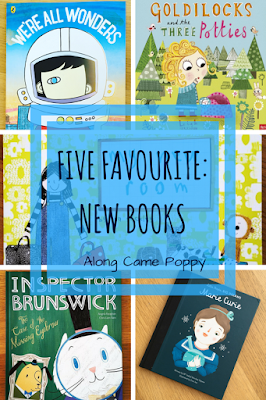 Have you discovered any fantastic new books this year? 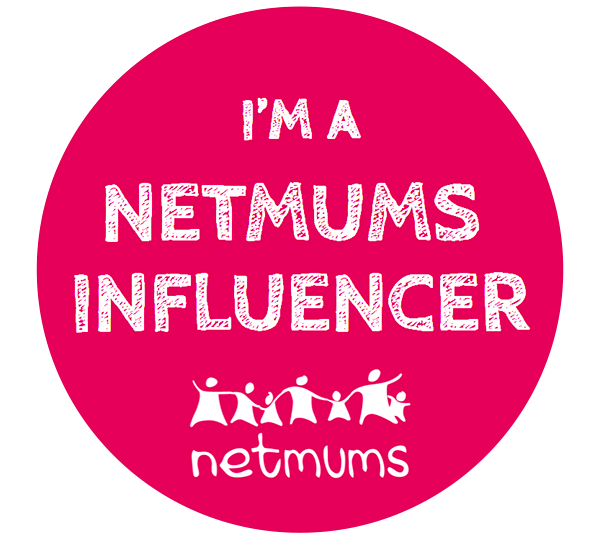 Please do share your recommendations below! A great selection as always :) still haven't got hold of a copy of We're All Wonders but can't wait to read it. These are all new to me. I love the potty traibing book idea. 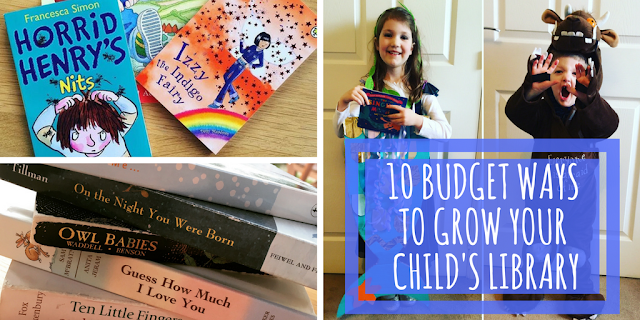 I really want to check out the little people big dreams books. 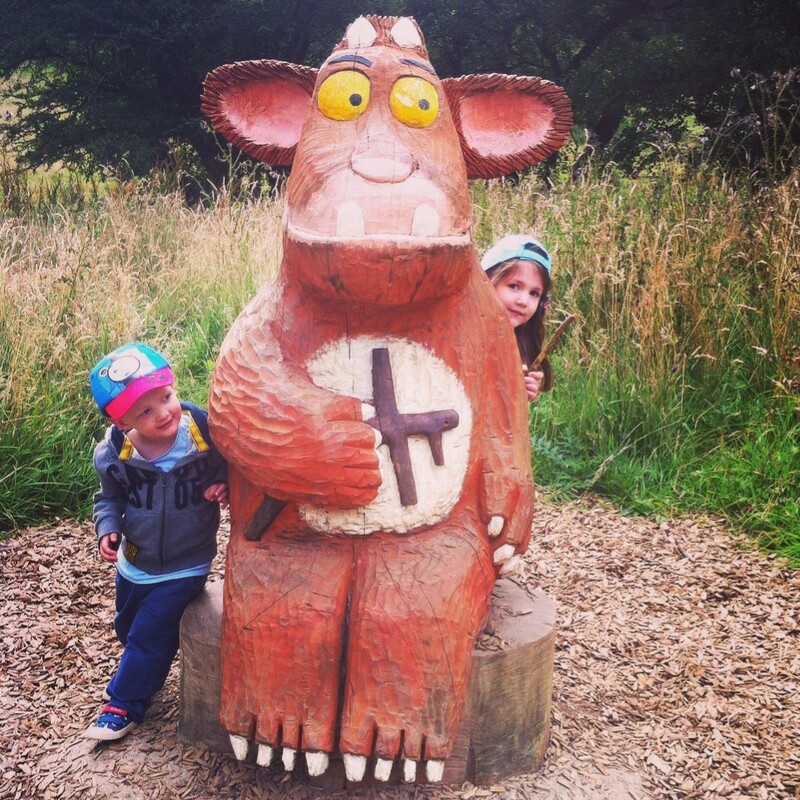 My eldest starts reception in September so they sound perfect.